Koseli School- hold a hand...: Santosh Pariyar; From a Rag picker to a trained professional…. Santosh Pariyar; From a Rag picker to a trained professional…. I started my journey at Koseli 6 years ago in 2011 when I was 11 years old. I was covered with filth and stank of urine like all my friends. Afterall I was a professional rag-picker. Somehow, Renu Mam was able to convince me to come to Koseli with her. Upon arrival, I followed the Koseli ritual for new kids which consisted of a bath, a hair cut, treatment of my wounds, a set of clothes and food. It was only after all this did I see what a classroom looked like from inside. Even though I was old enough to be in grade 4 or 5, I was actually sent to grade 2. I hated it on top of that I totally disliked studying as I had never been to a school before. I was clear in my mind that I hadn't come to Koseli to study but only for the food and care. I recall well that I was very naughty and distracted the whole class. Many times, I disrespected my teachers but, they never gave up on me. I could not cope with the studies. And then one day something magical happened. Koseli was planning to come up with a production called Jaamun ko Rukh and we were asked to come to the office to audition. To my own surprise, I got a role partially because there weren’t many children and partially because Renu Mam thought theatre would help us unleash our energies. Thinking back, I feel it was most the difficult thing that Koseli along with Gurukul was attempting and also the three weeks of training in acting was a life changing experience for me. Soon after that I started taking more interest in studies. But of course having missed the most crucial years of my childhood, I could not catch up as well as the kids my age. Last year I passed out of grade 6. My coordinator at Koseli gave me an opportunity to attend vocational training with the help of another organization. At Shagrila Homes, I lived in the boarding facility provided by them. It was my first time living out of the slums, an experience I really cherish.They sponsored my training at an organization called UCEP, where I attended a course to become a plumber. The trained for 10 months out of which, I did 4 months of field work.My trainers appreciated my work and dedication. Now at 17 years am working under a Contractor full time. I earn ₨ 20,000 and save ₨12000 every month while some of my friends are still rag-pickers. This is not the end of my story but a wonderful beginning of a new journey. Thanks to Koseli School for believing in me and giving me a new life. I will always remember Koseli being a stepping stone to life I have now and the future I dream of. Good Job Koseli! Such stories inspires me to help organizations like you! 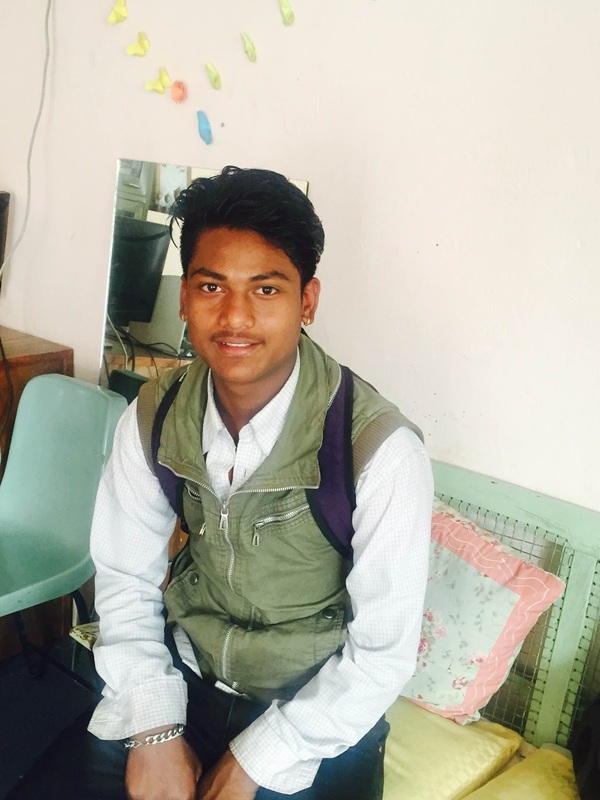 Well effort by Santosh Pariyar and thats why you selected Koseli School.I m very impress of you and thanks for share a interesting story. Thankyou. Look forward to more volunteers from you. Very nice blog thank you so much for sharing it with us. If any one of you having shoulder pain or knee pain I will suggest you go for knee surgeon in mumbai or shoulder surgeon in mumbai . Best place where patients can meet with specialists.